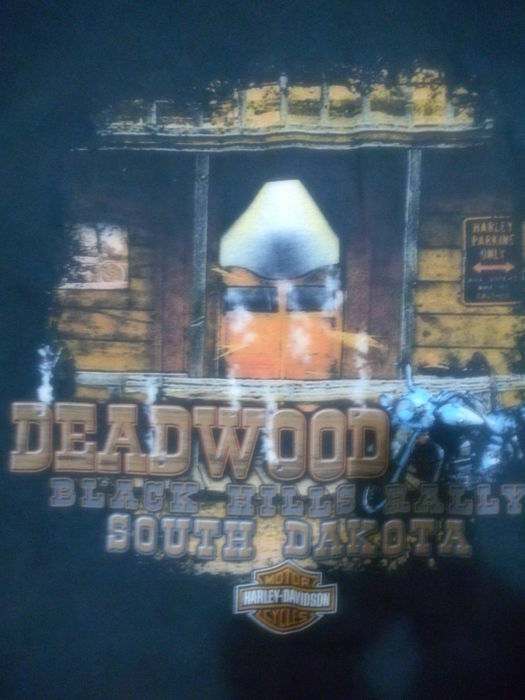 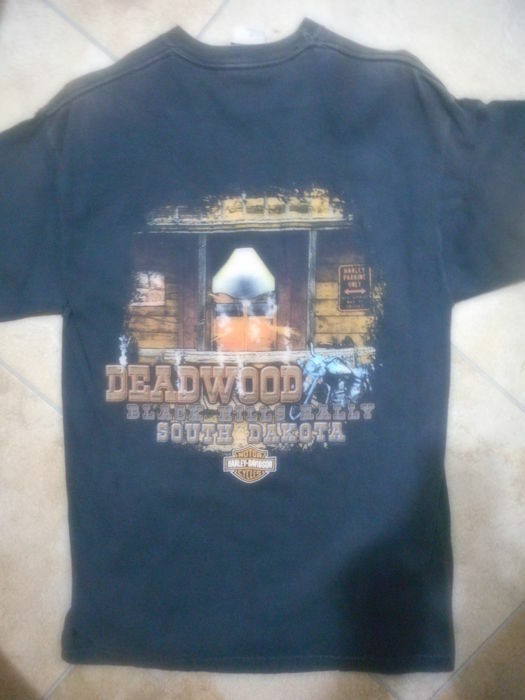 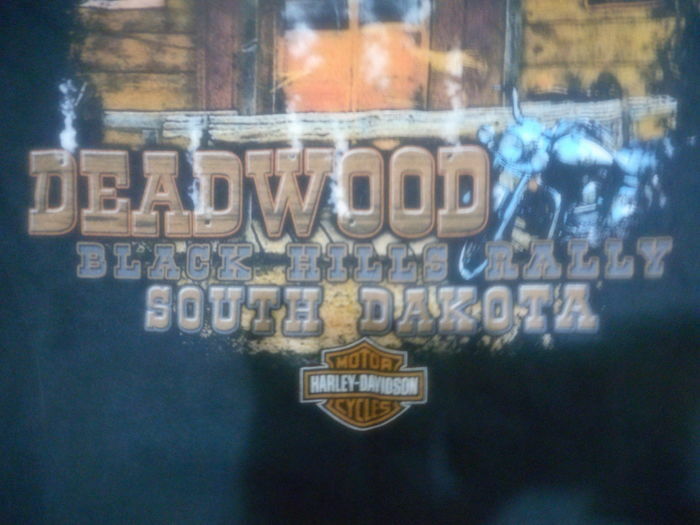 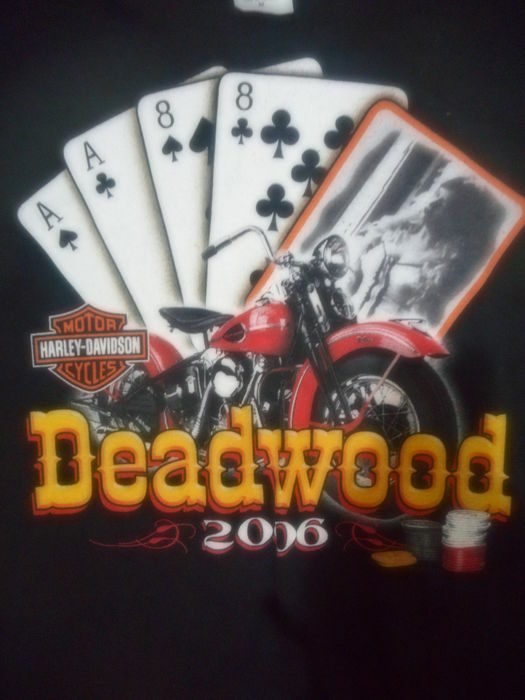 1st Harley Davidson cycles motorcycle t-shirt - DEADWOOD 2006, Black Hills Rally - South Dakota. 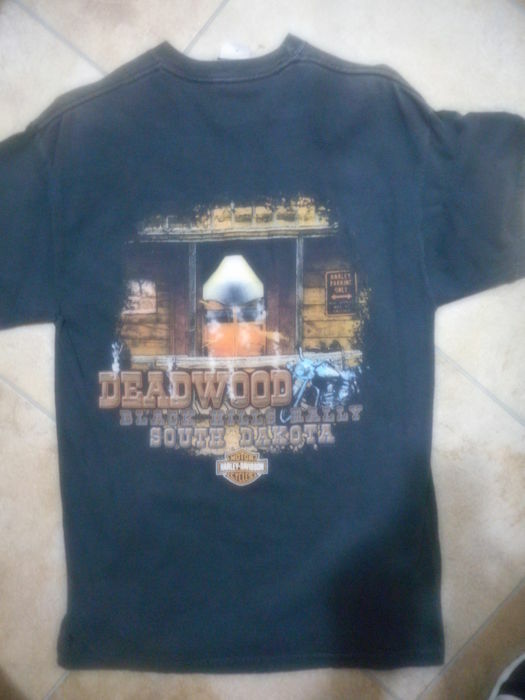 Size M, in pure cotton. 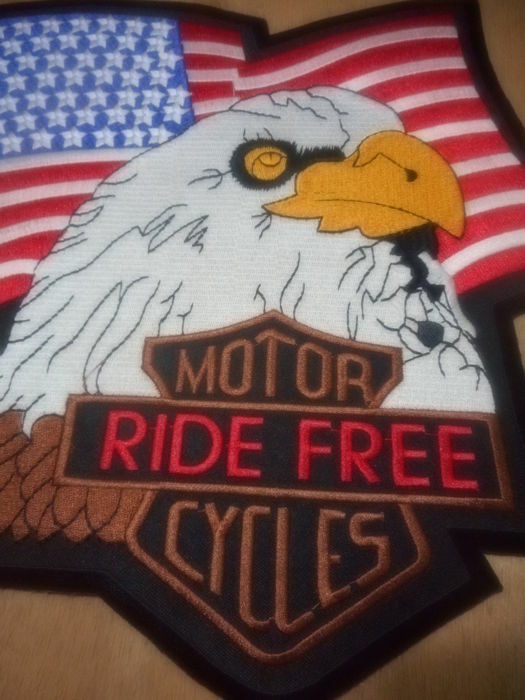 Made in U.S.A. Vintage item in good condition, with traces of fading on the shoulders and crew-neck. 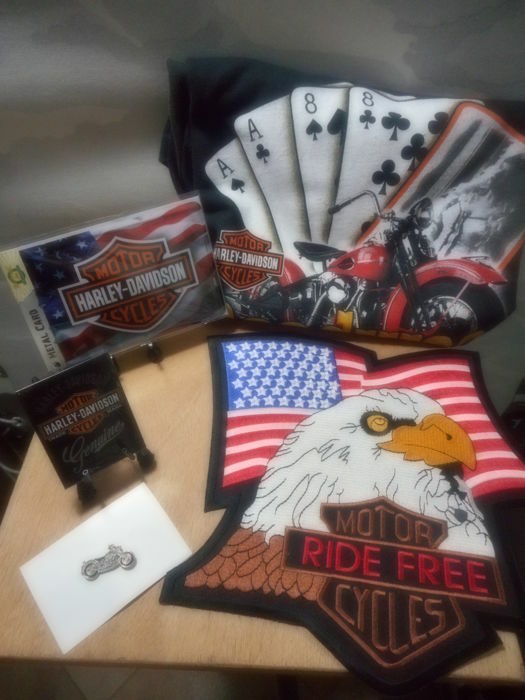 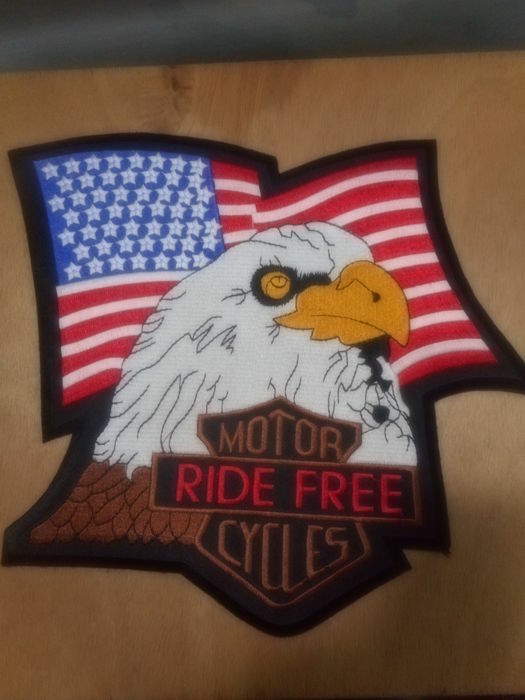 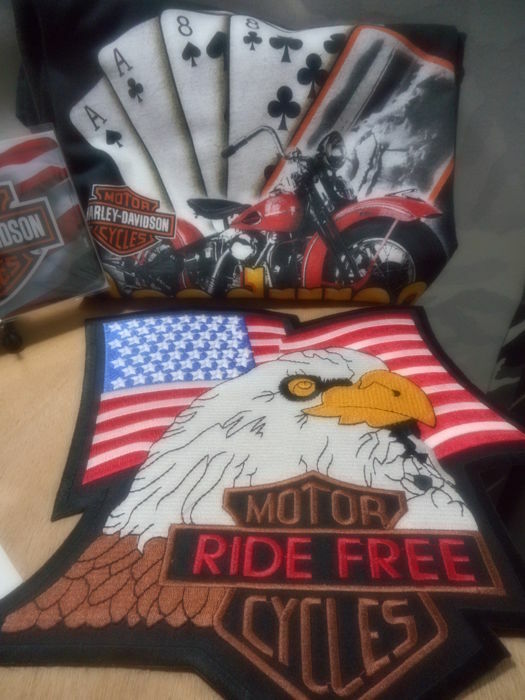 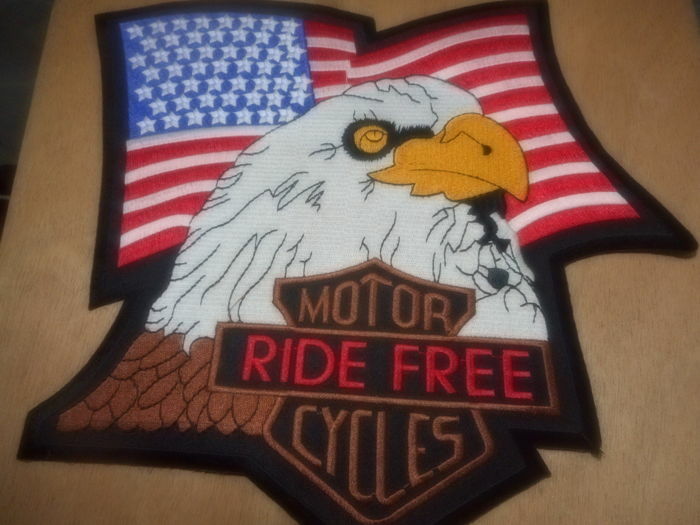 2nd original embroidered patch “Harley Davidson RIDE FREE”. 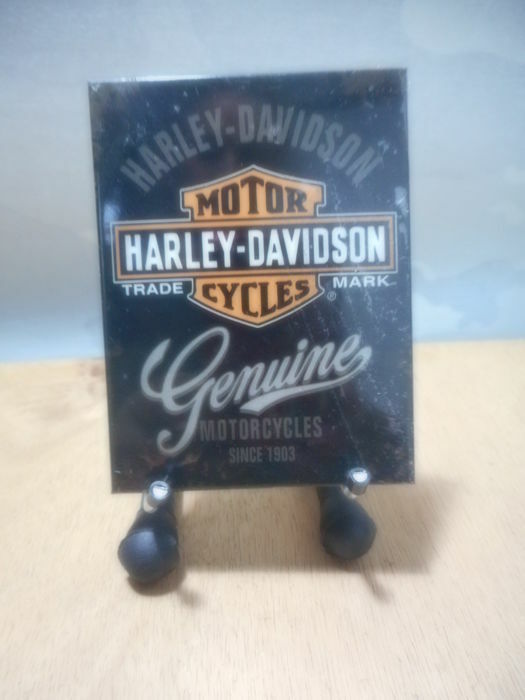 Size: width 28 cm, height 27 cm. 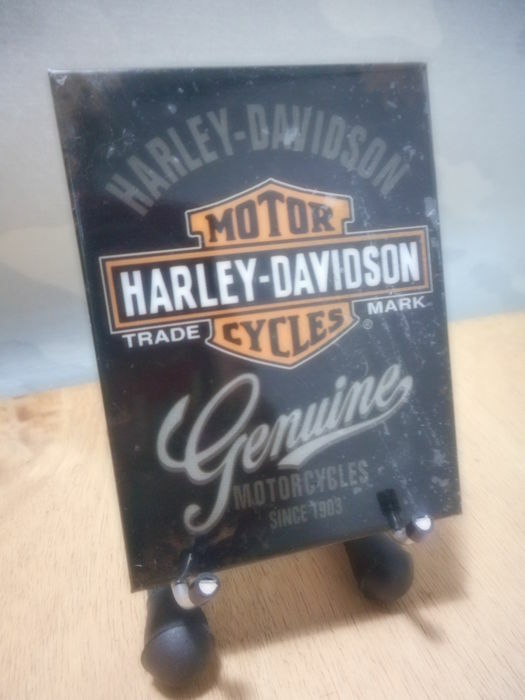 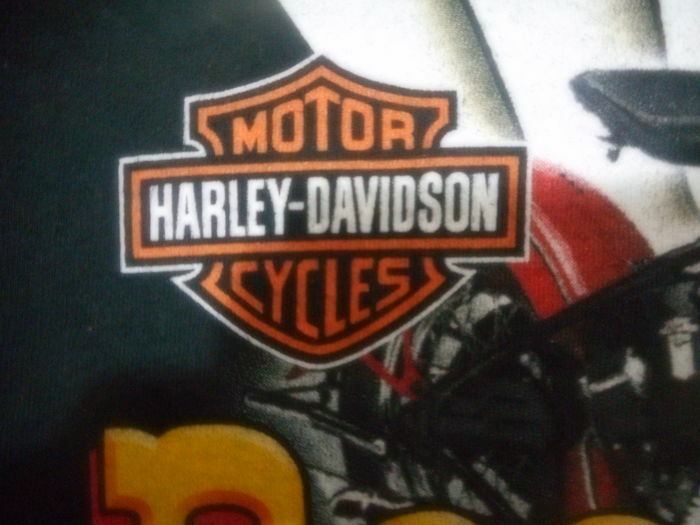 3rd magnet with “Harley Davidson Motor Cycle” logo. 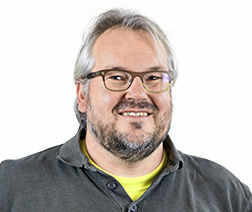 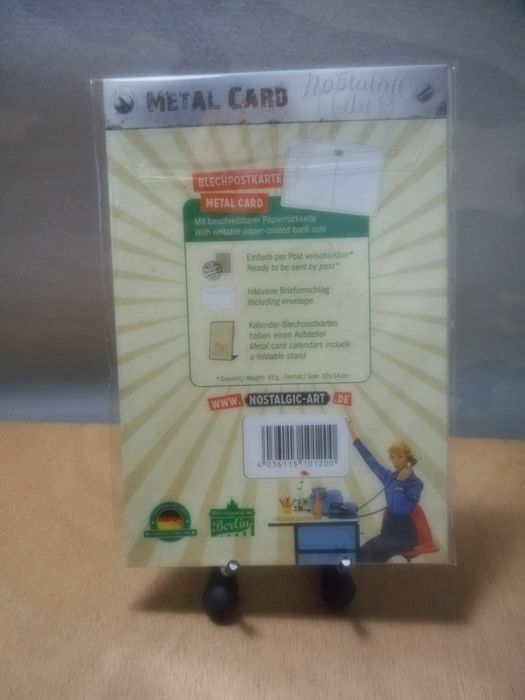 Dimensions: height 6 cm, width 8 cm. 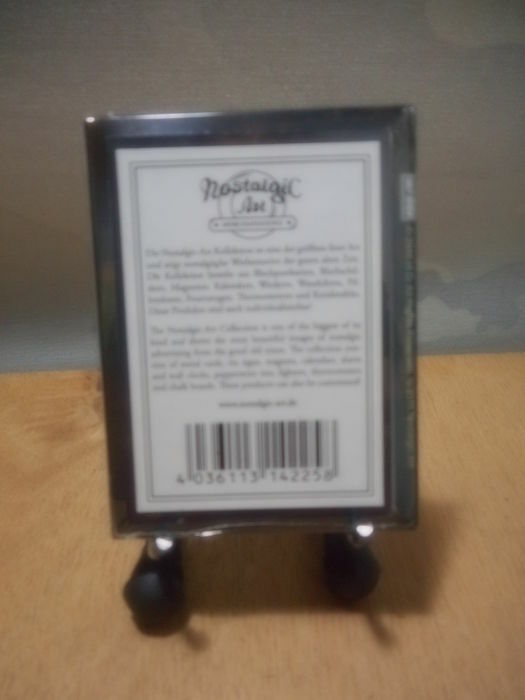 Official Nostalgic Art Collection. 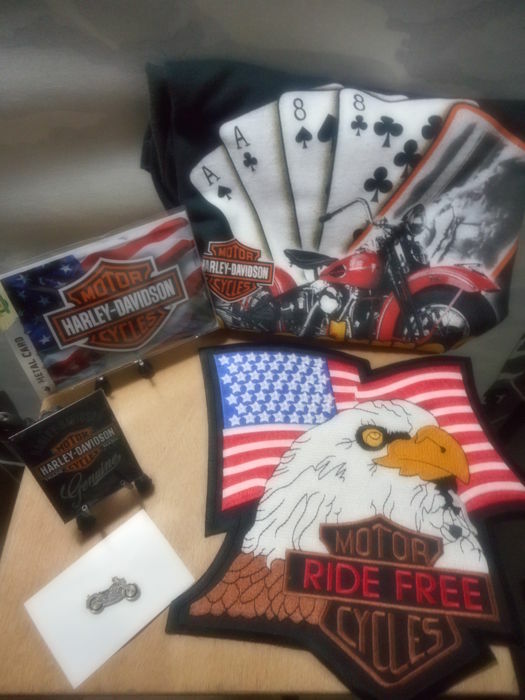 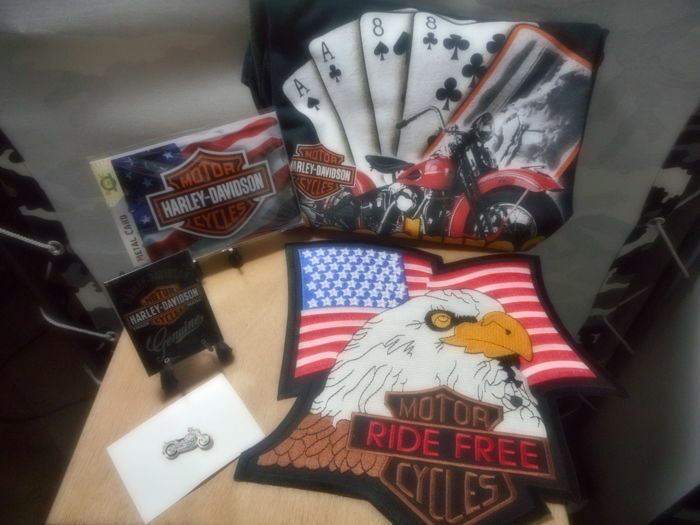 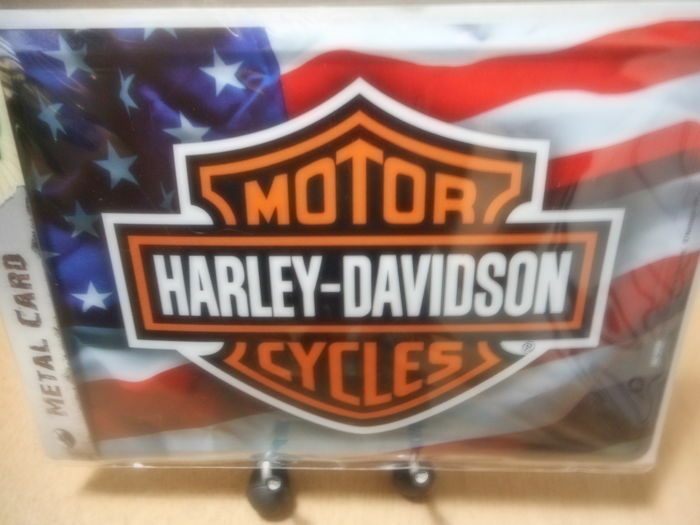 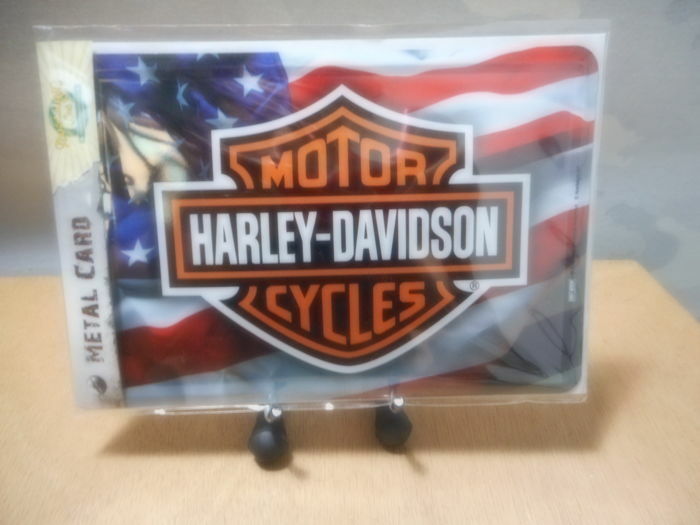 4th metal card available in post with “Harley Davidson” logo, made in Germany, size: height 10 cm, width 15 cm. 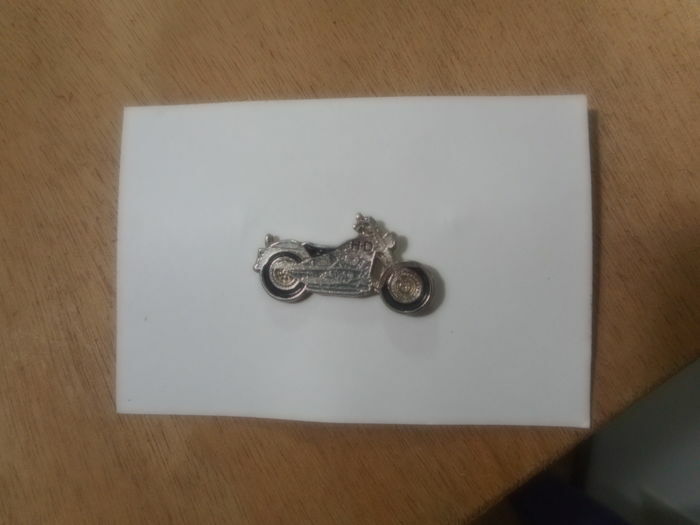 5th official metal Harley Davidson “Fat Boy” pin. 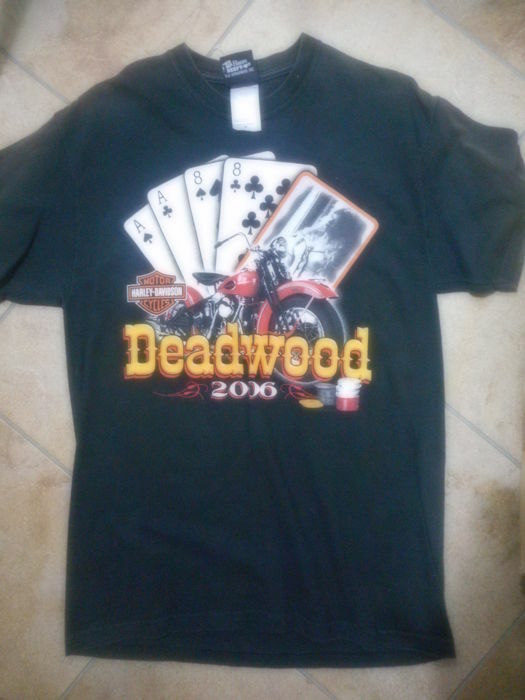 Except the t-shirt all the items are like new, from a private collection. 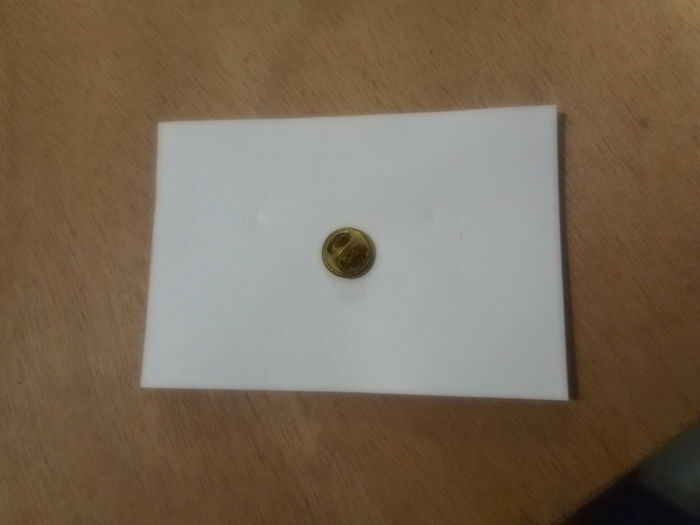 U kunt dit kavel ook ophalen bij de verkoper: Torino MARTEDÌ' CHIUSI (Torino ITALIA), Italië.